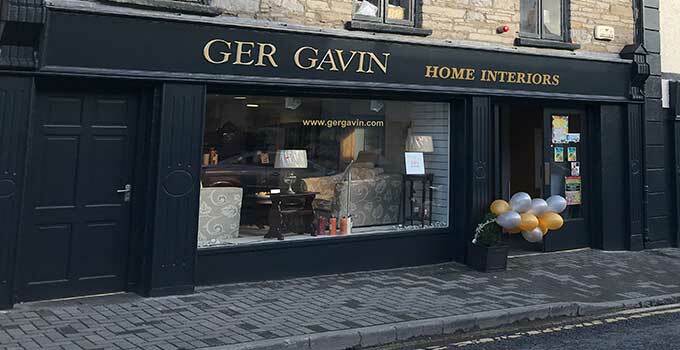 ranging from a simple repair/ refurbishment to your existing home to a new build or an exciting business venture. 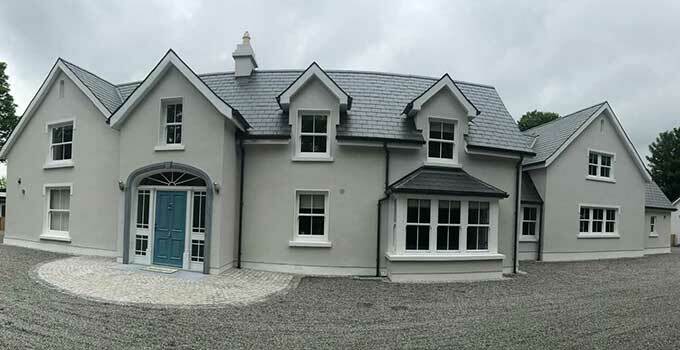 This project involved the demolition of an existing bungalow and construction of new two storey house. 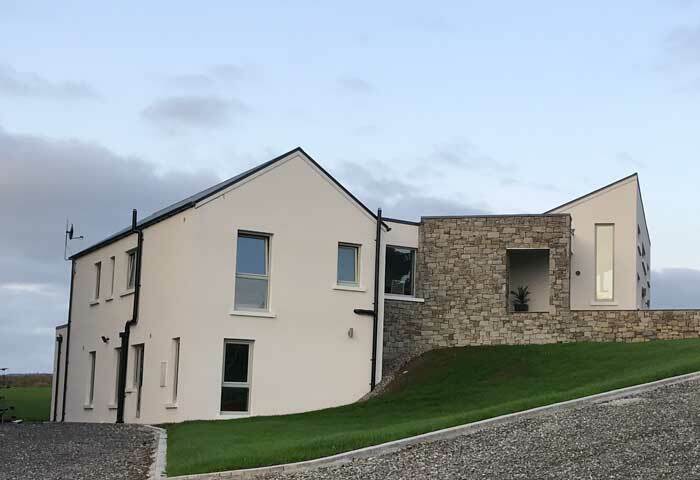 This project involved the demolition of an existing house on site and the construction of a split level cavity wall building with precast concrete floors. 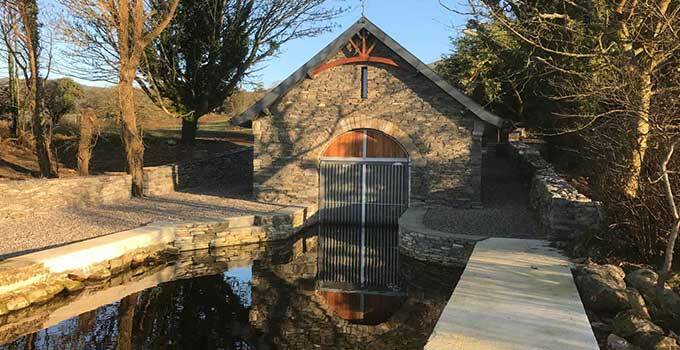 Construction of a beautiful new boathouse in Lough Derg, Co. Tipperary. 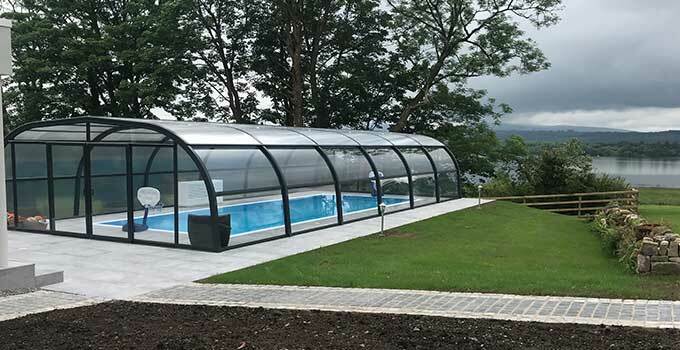 Construction of a beautiful new pool house in Killaloe, Co. Clare. 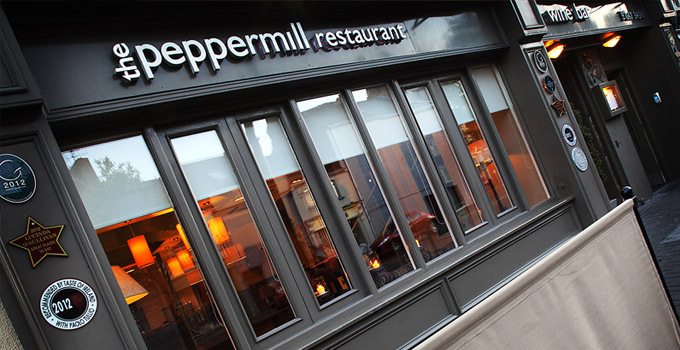 This project involved the renovation of commercial building to upgrade and extend existing premises. Demolished town house in the centre of Nenagh town constructed over 3 stories and developed into a modern restaurant. 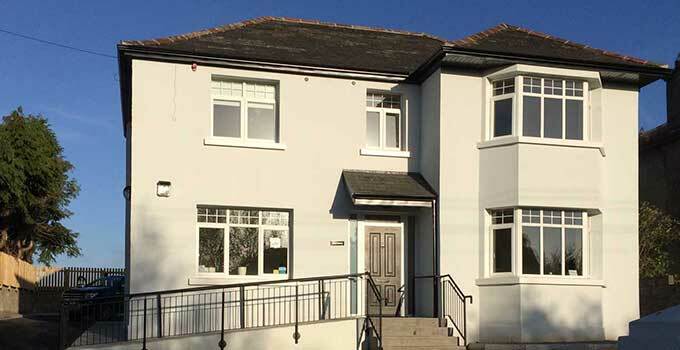 This project involved remodeling a 1920s urban dwelling into a modern, suitable for purpose, doctor’s surgery. 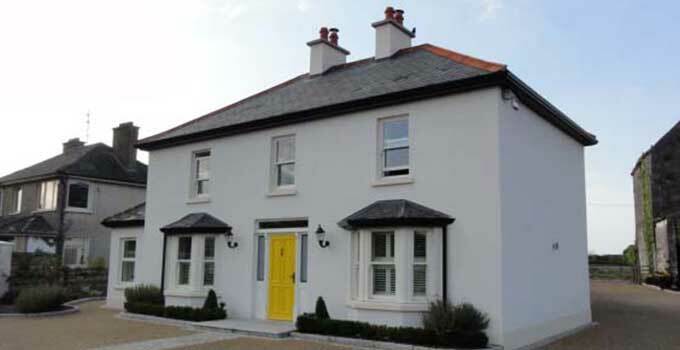 This comprehensive building project involved renovating and extending the existing house. 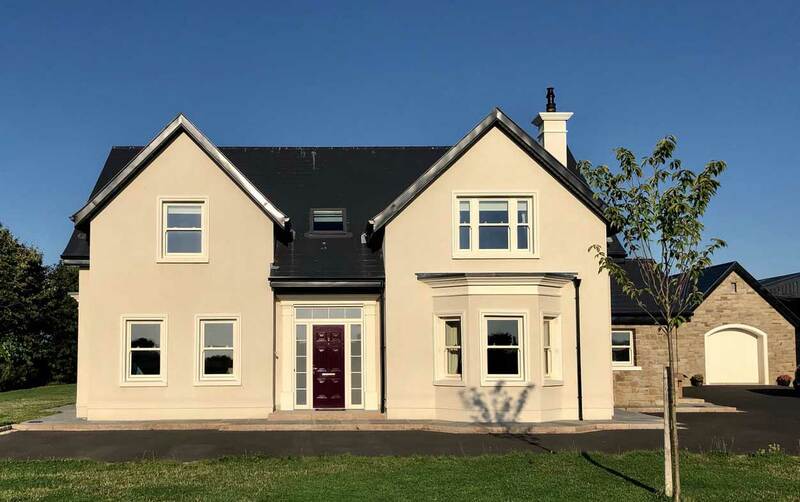 This project involved the renovation of an existing Georgian style house. 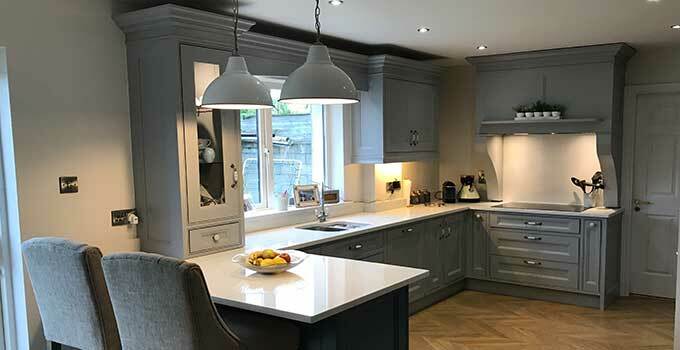 This project involved the design and fit of a beautiful bespoke in-frame kitchen. 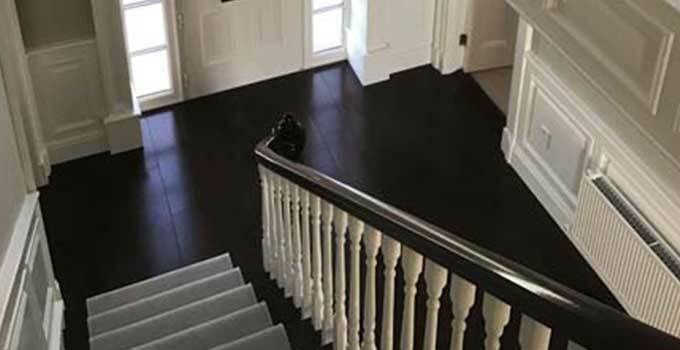 This project consisted of the design and fit of a beautiful painted stairs with mahogany newel posts. 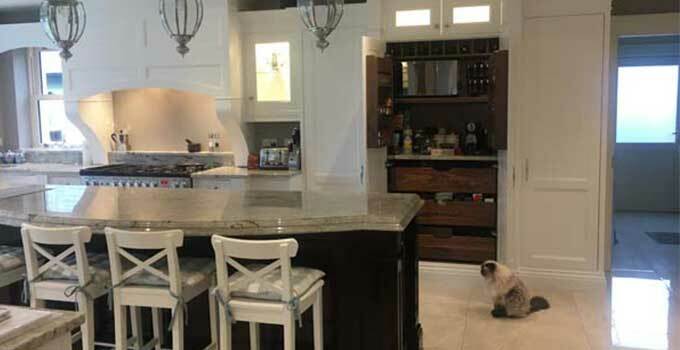 Beautiful bespoke designed In-frame kitchen with mahogany island.